Anna Menichetti presents the latest album of the talented Japanese pianist Aki Kuroda, entirely dedicated to Burgmüller’s Complete Etudes. Limen music & arts proposes to the audience the complete collection of the Etudes for piano Op. 100, 105 and 109 composed by J. F. F. Burgmüller, for the first time available in video, interpreted by great musician, worldwide appreciated as a performer, but also as a teacher: Aki Kuroda. For more details about the album please click here. Anna Menichetti presents the new album of the Japanese pianist Aki Kuroda. Enjoy a concert extracts from the DVD. 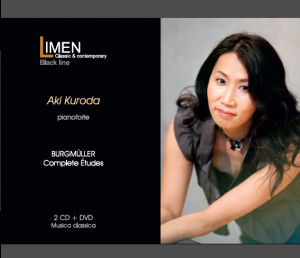 presentation of the latest album of the Japanese pianist Aki Kuroda, dedicated to Burgmuller’s complete Etudes!! 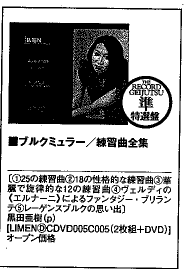 CD of the month on Record Geijtsu magazine: Aki Kuroda’s Album!! Aki Kuroda‘s album dedicated to J. F. F. Burgmüller’s Complete Etudes was chosen as Cd of this month, by Record Geijutsu, Japan’s leading classical music magazine! Aki Kuroda, completed her study at Tokyo National University of Fine Arts, improves her musical study under Prof. Bruno Mezzena in Italy. She is very active as concert pianist in both Europe and Japan. Good morning, I’m Aki Kuroda. I’m glad to announce you the release of my new album (CD+DVD) for Limen Music in Milano: Burgmüller Complete Études – 25, 18 and 12 Études. Burgmüller is a composer very well-known to all the children who train in piano-playing. In Japan in the Seventies, when I was young, it was fashionable to teach piano to the children. It’s no exaggeration to say that at that time in Japan, in the homes, in the neighborhoods, in the classrooms of the primary schools, these Burgmüller’s pieces were everywhere to be heard. Now that I’m among the parents, remembering these lovely pieces as the childhood memories, I was struck by their beauty and by the musical essences that comprise them. Friedrich Burgmüller was born in Germany where he lived until he was 26, and then moved to Paris where he wrote many piano composition for the Salon Parisien and for the ballet. He was also very appreciated piano teacher. Every Etudes is reach in accurately conceived piano techniquest, that enable the learning of the many musical “rubato”, with the appropriate expressions and the right singing quanties. When I was recording them, I tried to play as if I were at the Salon Parisien, paying close attention to the required techniques and respecting the tempo marking prescribed by the author. 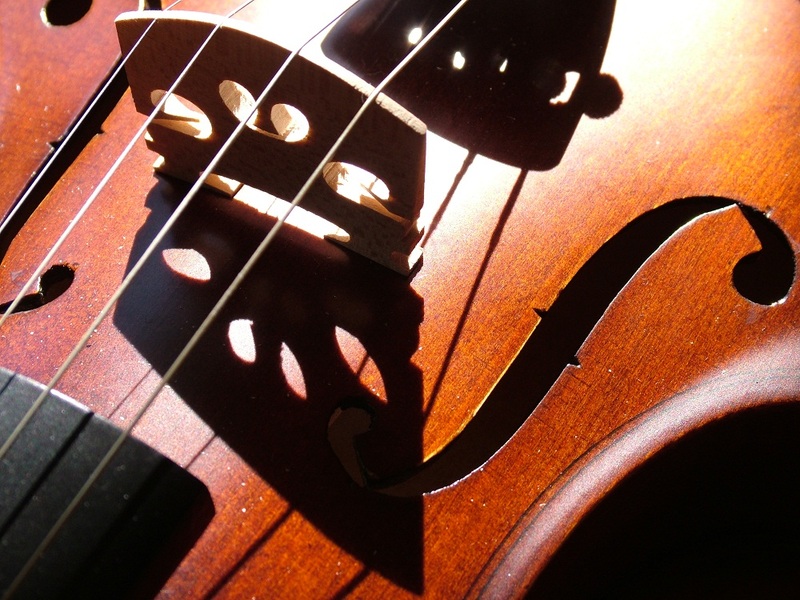 Especially 12 Etudes are very virtuosic. Please, look at the movements of the fingers, through the images of the DVD. I hope that the music abd the pictures are to your liking.